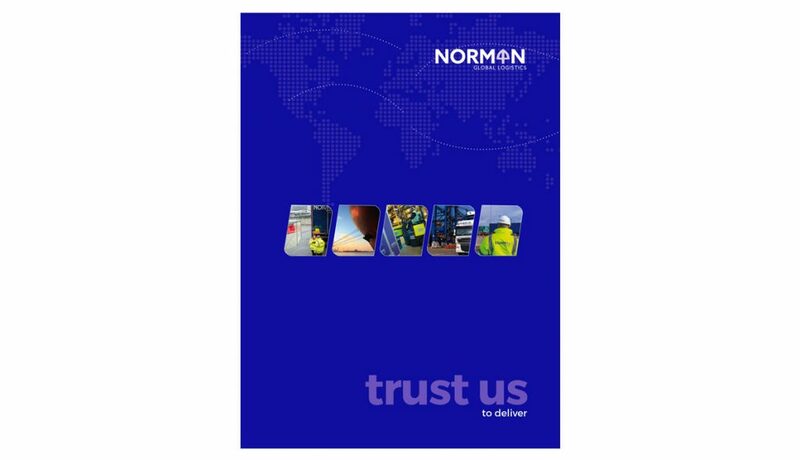 Updating of the Norman logo, which retains the established helmet graphic from the existing logo but has a more modern feel and typeface. 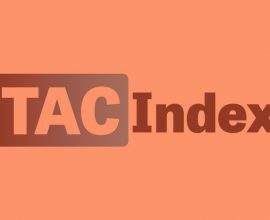 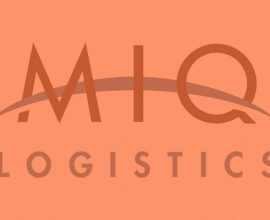 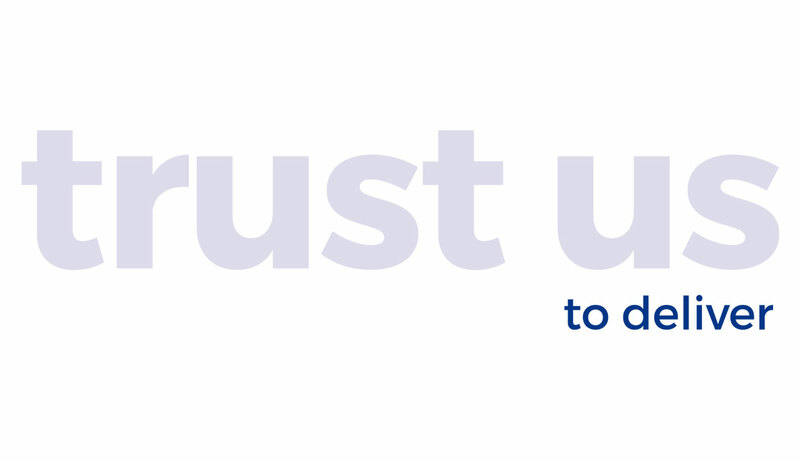 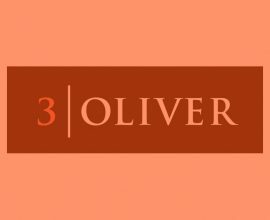 The strapline reinforces the new branding and reflects client sentiments uncovered during the Marketing Discovery. 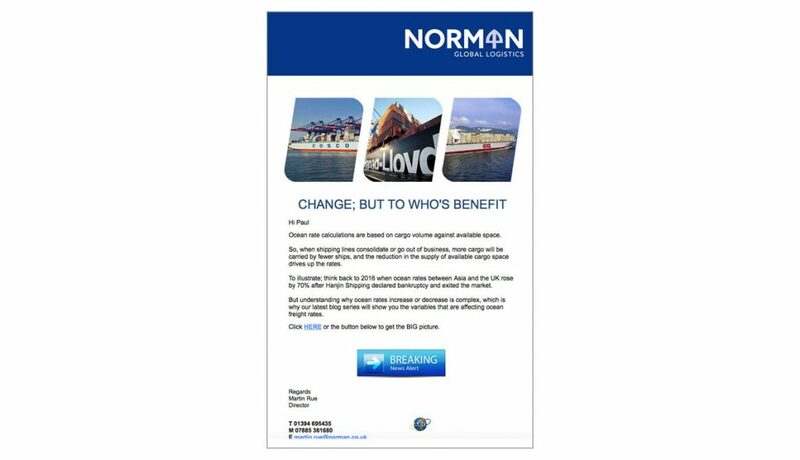 New website design and email marketing reflect Norman’s new look and key message profile and provide the foundation for an extremely successful inbound marketing campaign. 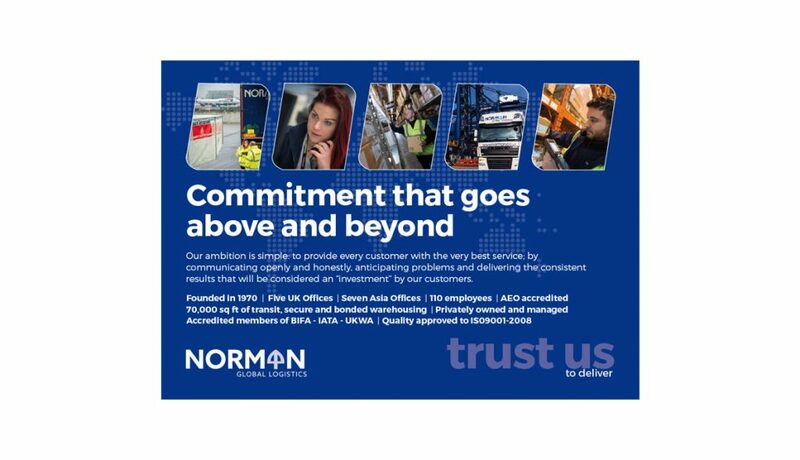 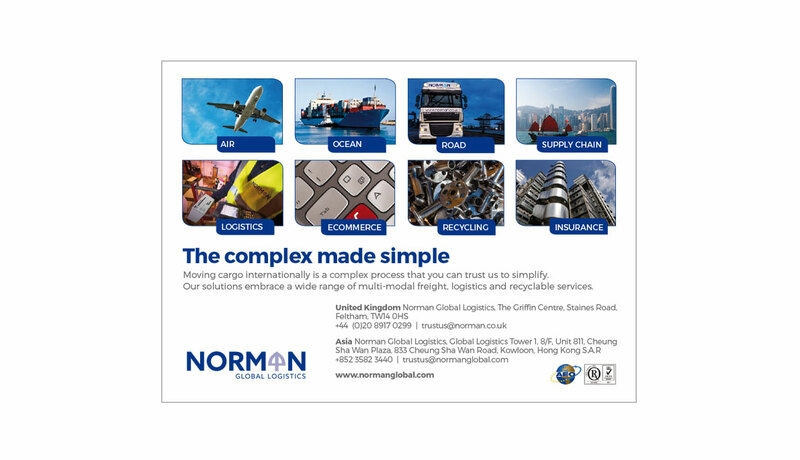 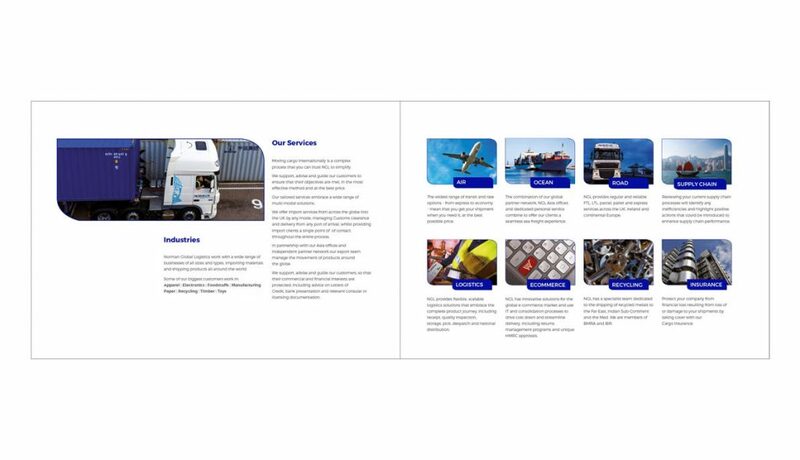 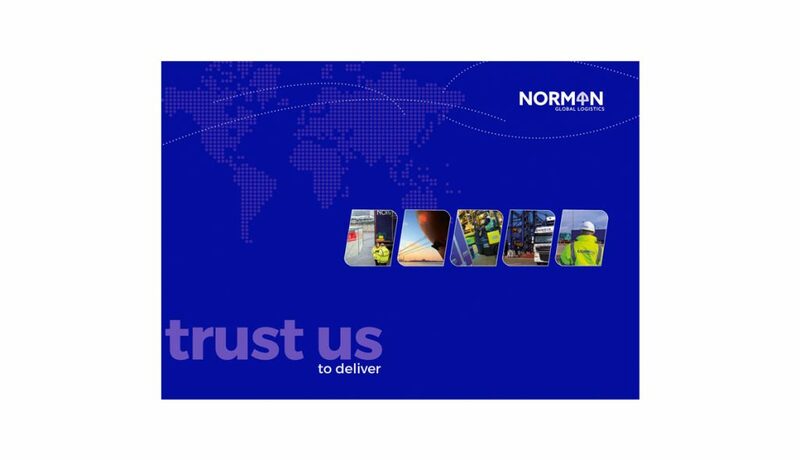 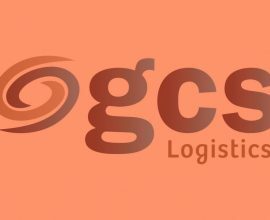 Using existing assets and minimal stock video this promotional video was produced swiftly and at low cost, to provide an engaging introduction to Norman Global Logistics. 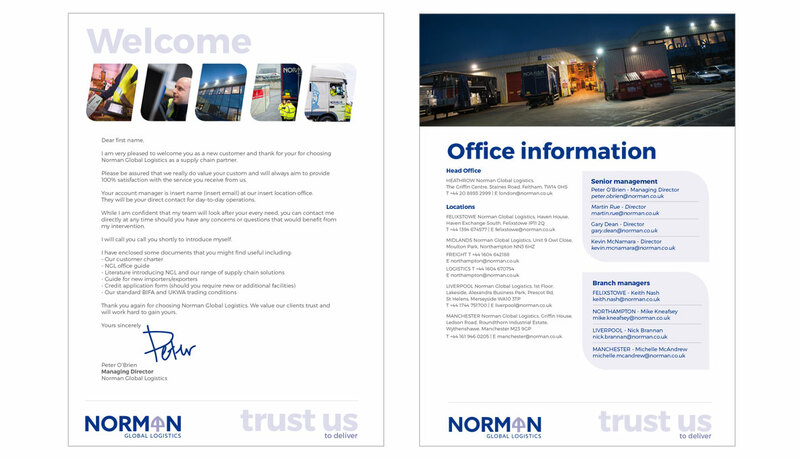 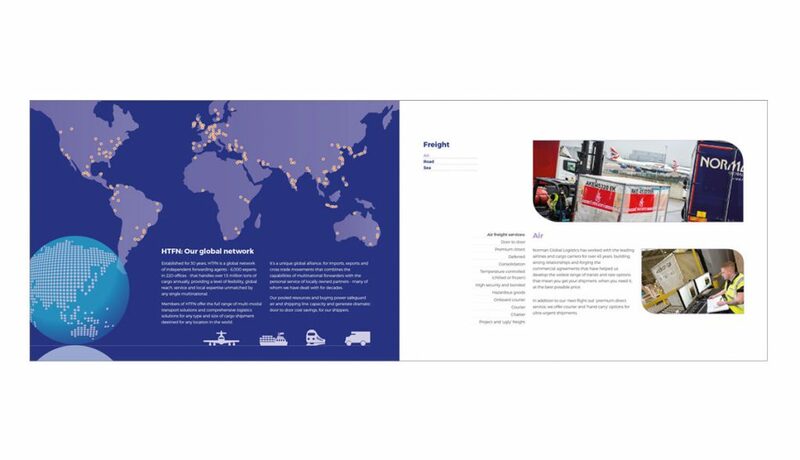 Corporate brochure and flyers, postcards and case studies incorporate new branding and key messages uncovered during Marketing Discovery. 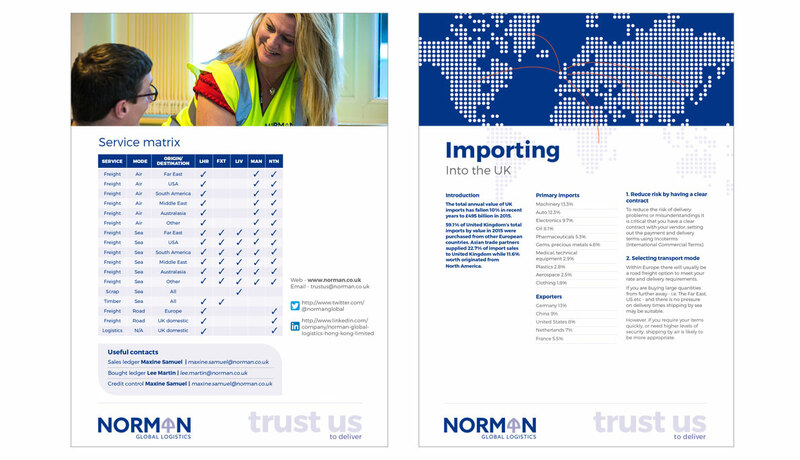 Innovative Welcome Pack supports customer on-boarding and provides an up-selling tool. 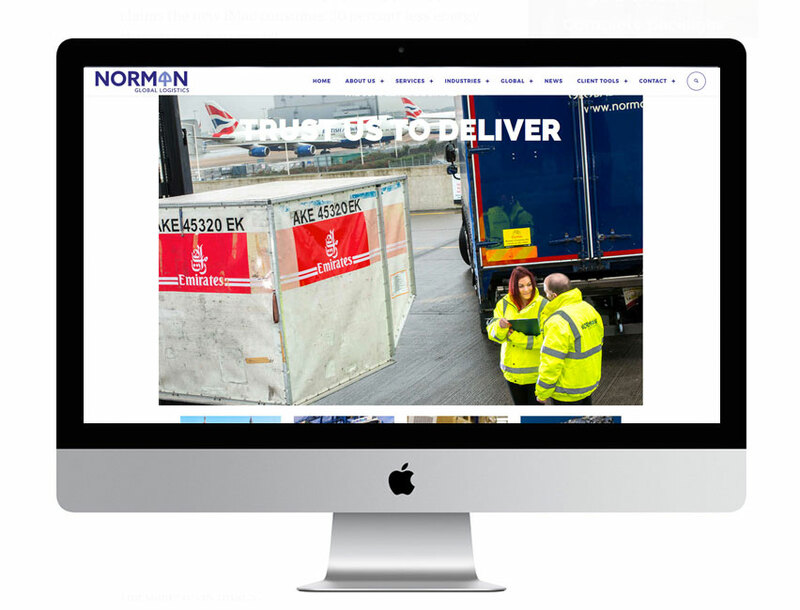 A selection of images from shoots at NGL’s Felixstowe and Heathrow Head Office.